What happens when you win the lottery? 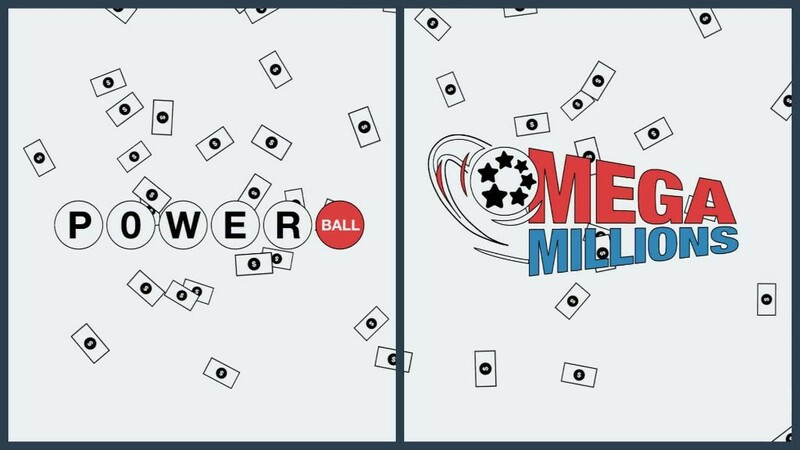 Mega Millions and Powerball both have jackpots of more than $350 million, and a lot of folks are snapping up tickets for both games. Because if you're going to dream of winning a lottery fortune, why not dream of winning two? "You see more people in line buying both tickets when both games are over $300 million," said Jeff Lenard, spokesman for National Association of Convenience Stores, whose members sell about two-thirds of the nation's lottery tickets. But the odds of winning both are absolutely staggering: A bit worse than 1 in 75.6 quadrillion, or 1 in 75,648,252,765,957,300 to be precise. On a percentage basis, you have only a 0.000000000000000013% chance of holding both winning tickets. To put that in perspective, those odds are about 6,000 times worse than the odds experts have calculated of being killed by a meteorite strike -- at the same time you're being attacked by a shark. Of course, it's pretty long odds to win just one of this week's drawings -- either Saturday night's $356 million Powerball game, or Friday's $382 Mega Millions drawing. But that doesn't stop people from trying. Americans spent more than $80 billion on lottery tickets last year. That's more than they spend on movies, video games, music, sports tickets and books -- combined. The odds of winning Powerball are 1 in 292 million. The Mega Million odds are slightly better -- only 1 in 259 million. "If you buy both tickets, you've doubled your odds of winning," said Ben Auerbach, lead data strategist for Allstate, but they're still pretty close to zero. Auerbach, who said he never buys lottery tickets himself, calculated the very long odds of a double win not for work but because "it's fun to do this rather than run numbers about premiums and insurance."